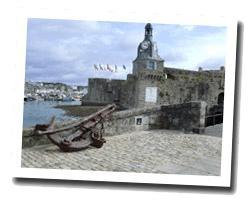 Classified «City of Art and History», Concarneau is famous for its walled historical city and its fishing port. At the seaside you can find beautiful white sand beaches facing south. The coastal path offers beautiful panoramas. Pont Aven, the famous city of painters, is nearby. 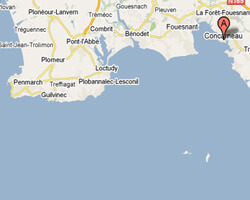 In Concarneau enjoy a seaview holiday rental. Studio flat 38sq. m with view of Concarneau Bay and Glénan islands. sandy beach at the bottom of the residence. Close to town centre and all shops. South facing balcony with outdoor furniture. no smoking. 2 rooms apartment 66m2. terrace. Pets allowed. Studio Apartment 1 room 27m2. terrace. 0 Bedroom(s), Final cleaning : included. 3 rooms apartment 65m2. Close to town centre. balcony. Pets allowed. Apartment block "Ty Bugale", 3 storeys. In the resort, 1 km from the centre, 50 m from the sea. 2-room apartment 50 m2, on the ground floor. Side view of the sea. Price from 350 € to 679 €.